Where heart, mind, and spirit meet! St. Paul United Church of Christ of Corpus Christi has a long history in the Coastal Bend of Texas. Over the years, the church has changed its name several times. In June, 1895, the Rev. C. Knicker came to Corpus Christi to investigate conditions preparatory to organizing a German Mission. "No response on the part of the community" was noted in Mr. Knicker's writings. On September 4, 1911, the Rev. C. Knicker made another visit to Corpus Christi and found conditions more favorable for founding a mission. The first name of the mission was Die Deutsche Evangelische Trinitatis Gemeinde (The German Evangelical Trinity Congregation) and it was founded on November 19, 1911. The first pastor was the Rev. Robert Hinze and the congregation met at Mestina Street. On September 22, 1912, the church began meeting at the First Presbyterian Church. The Congregation rented a house for a parsonage on Avenue A. The last six months of 1912 showed a congregational income of $9.46. On July 25, 1915, the first service conducted by the Rev. John Biegeleisen was held at the Seaside Pavillion on the Central Wharf (a dance pavilion on the waterfront). There were six people present and the offering was exactly $1.00. In September, 1915, services were held at 923 Laredo Street in a building which also served as the church parsonage. In 1916, the church changed its name to First Evangelical Church. In March of that year, a lot on the corner of Craig and Chamberlain Streets was purchased for $500 as the site for a new building. In September of 1918, services were disbanded because public use of the German language had been banned due to the First World War. In 1919, church meetings were held in the Seventh Day Adventist Church and then in the First Christian Church. In 1920, the church changed its name again, this time to United Evangelical Church. In January of 1920, a contract was signed for the purchase of two lots and a house on the corner of Laredo Avenue and King Street for $2,800 and again plans were made to build a church. The church was still meeting at the Seventh Day Adventist Church in February, 1921, when it was noted that services were being held in both the German and English languages. In October, 1921, construction of the first church building was started on the corner of Laredo and King. The corner lot on Craig and Chamberlain was given to a lumber company in exchange for building materials. In December of 1921, dedication services for the new United Evangelical Church were held with Pastors Strauss and Biegeleisen officiating. The cost of the building was $2,500. In October, 1931, it was decided to hold all services in English. At that time, the church depended on income from church rental property to support the church along with generous aid from the Home Missions Board of the Evangelical Synod, the church body to which the congregation belonged. In 1938, a contract was let for $2,788.75 for the Sunday Church School building. The annex measured 30 feet by 40 feet and included three classrooms, a meeting room with a stage, a kitchen, and restrooms. In January of 1939, money was raised to pay for the building and special afternoon services in German were discontinued due to the outbreak of war in Europe. In March 1942, the church's rental property on Topo Street was sold and the sale proceeds were designated to be used for relocation. After a congregational study lasting from August to November of 1945, the church voted to buy the property on Texan Trail at South Alameda, and the congregation requested $2,900 from the Board of National Missions of the Evangelical and Reformed Church to purchase the site. At that time, a number of members suggested that the church change the name of the congregation to one of a more Biblical nature. The congregation voted to sell the church property on Laredo Avenue for $17,000 cash, and the congregation requested permission from the buyers, a group of Spanish-speaking Mormons, to keep the cornerstone of the Sunday School Building. (The cornerstone is now in the narthex wall at St. Paul's current location on Lipes Boulevard.) The Biblical name chosen by the congregation was St. Paul, and the name of the church was changed to St. Paul Evangelical and Reformed Church. Ground for the new building was finally broken in September, 1950, and the red granite cornerstone was laid in December, 1950. The Fellowship Hall was dedicated in June, 1954, and, in January, 1959, the new educational wing was dedicated. By the end of 1959, the glass windows in the church had been installed and dedicated. The fourteen window tell the Bible story from Creation to the Incarnation and Resurrection. (These windows were later incorporated into the current building on Lipes Boulevard.) The Texan Trail church sanctuary was paid off in 1960. In 1964, following the 1957 creation of the United Church of Christ upon the merger of the Congregational Christian Churches and the Evangelical and Reformed Church, St. Paul Church again changed its name, this time to St. Paul United Church of Christ. In June 1988, an arsonist's fire destroyed the church sanctuary at 502 Texan Trail. For a short while, the church met at the First Christian Church but returned to Texan Trail to begin worshiping in the Fellowship Hall. Additionally, in 1988, the church became a "renewal church" with a new vision, and the congregation decided to relocate in order to build a new building. In 1989, the Rev. David Pantermuehl was called as pastor and the property at 502 Texan Trail was sold to Whataburger. In 1990, worship began in Bill Spencer’s Piano & Organ store, later moving to 5420 Everhart in Stonegate Center. In 1990, 3.2 acres were purchased at 5525 Lipes Boulevard for $215,000. In 1991, a groundbreaking ceremony was held at the Lipes location. During that time, services were held at the Luther Jones Elementary School, and St. Paul celebrated its 80th anniversary. The new church was built so that almost every piece of stained glass from the Texan Trail building could be incorporated into the new building. The first services were held at the new location on November 17, 1991. The Rev. David Pantermuehl was installed as pastor and the new church dedicated on February 23, 1992. 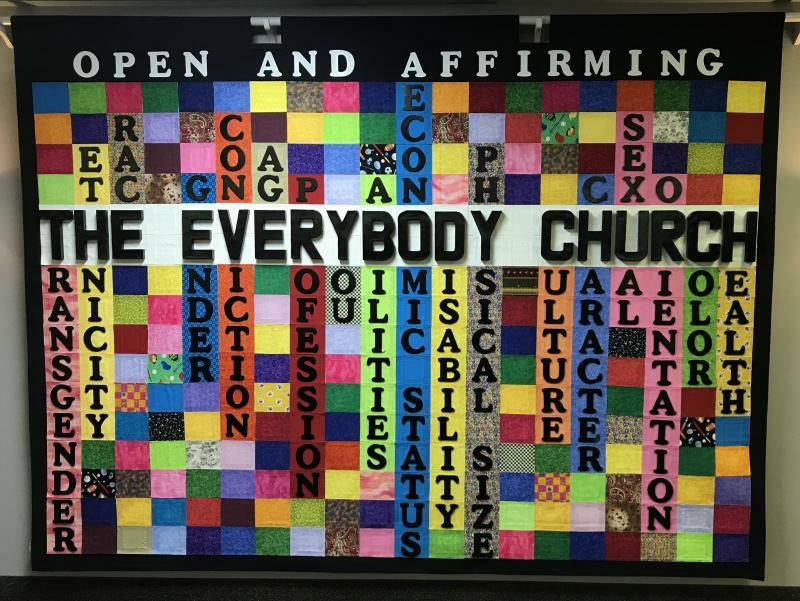 In October of 1998, St. Paul voted to become an Open and Affirming congregation of the United Church of Christ. The Rev. Mr. Pantermuehl accepted a call to Grace UCC in Houston in 2002. After several years of ministry by supply pastors, the congregation called the Rev. Mr. Charles Staggemeier Brown as pastor and teacher in 2008. In his trial sermon, Pastor Charles called St. Paul to be "Resurrection People, a Kingdom Family, and The Everybody Church." St. Paul celebrated its 100th birthday in 2011. Rev. Brown retired in 2013 and Rev. Tom Dowdy (ordained Southern Baptist minister) was named interim pastor. 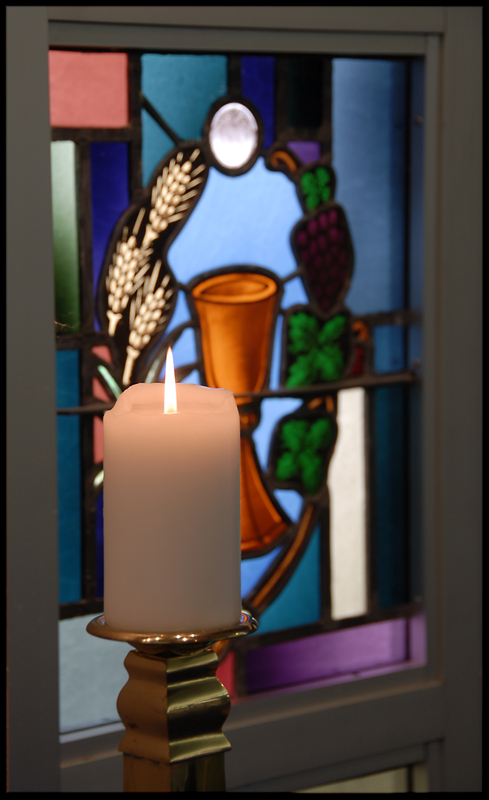 On September 21, 2014, the congregation voted unanimously to call the Rev. Mr. Burton Bagby-Grose as pastor and teacher. In his trial sermon, Pastor Burton reminded us that "that grace is not getting what we deserve﻿" and that "the scandal of the parable of the 'Laborers in the Vineyard' is that we are all equal recipients of God's gifts." Pastor Burton began his ministry with us the following November and his beautiful daughter Rosalee joined him in March of 2015 with his delightful husband Ron following in April after the sale of their home in Houston. The church was blessed with a 45 percent increase in weekly worship attendance between the end of 2014 and the end of 2017. Pastor Burton collaborated with church leadership to renew St. Paul's historic passion for service in the name of Christ (missions) as well as for evangelism. After his arrival at St. Paul, the congregation began a monthly ministry feeding the homeless at Metro Ministries on Leopard Street, started a regular outreach on the campus of Texas A&M University Corpus Christi, started a Girl Scout Troop, expanded our fundraising participation in the CROP Hunger Walk, started sponsoring children in the Settegast Heights Village Christmas Gift Project, adopted a portion of the Cole Park Beach as part of Texas Adopt-A-Beach, started a school supply project for disaster victims, and sent youth for the first time in a decade to Slumber Falls Camp. St. Paul was designated an official United Church of Christ Renewing Congregation in 2015 with Pastor Burton as our official Renewing Church Pastor. In August and September of 2017, the St. Paul congregation delivered over 800 emergency cleanup buckets to victims of Hurricane Harvey in Port Aransas with support from Church World Service, the National United Church of Christ Disaster Recovery Ministries and UCC congregations in the Illinois South Conference and New England. St. Paul today continues our strong history of proclaiming the unconditional and inclusive love of the Gospel of Jesus Christ. We are working to be a "Place Where Heart, Mind, and Spirit Meet." The First Congregational Church of Corpus Christi, Texas, was organized on November 24, 1866, by the Rev. Arron Rowe, who was a chaplain in the Civil War. At the close of the war, the Rev. Mr. Rowe came to Corpus Christi and found people, especially the freed slaves, in desperate need of a place to worship. Services were held in a home until a church was erected on North Broadway near the present Greyhound bus terminal. 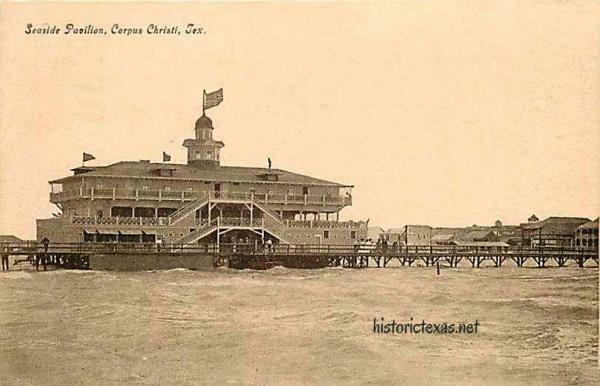 For years, the church’s steeple was a guide to mariners entering the port of Corpus Christi. After many years of service in that location, the manse was moved and, in 1967, a new church building was dedicated at 2927 Noakes. First Congregational Church United Church of Christ (UCC) is said to have been one of the oldest African-American churches in Texas. During its 96th anniversary year (1962), First Congregational Church went through the ecumenical process with other Congregational churches and congregations of the Evangelical and Reformed Church to form the United Church of Christ. As a result of the merger, which had already been consummated in 1957, First Congregational Church UCC helped to form the Lay Life and Work agency and the South Texas Association, components of the South Central Conference of the UCC. The United Church of Christ has roots deep in the colonial life of America and in the Reformation Movement in Europe. Congregationalism in what is now the United States came from the founding of Plymouth, Massachusetts, by the Pilgrims and the founding of Boston and the Massachusetts Bay Colony by the Puritans, both in the 1620’s. The last pastor of the First Congregational Church UCC was a Rev. Mr. Williams. The church closed about 1970 and some of the members joined St. Paul United Church of Christ at that time. The bell from First Congregational Church UCC now sits on the lawn at the entrance to St. Paul. you are welcome at St. Paul UCC! WE ARE LEARNING PEOPLE, SEEKING TO SEE, STUDY, AND UNDERSTAND HOW GOD IS WORKING THROUGH US FOR THE BENEFIT OF ALL GOD'S CREATION. WE ARE OPEN AND LOVING PEOPLE, SEEKING TO AFFIRM AND CARE FOR ALL GOD'S CREATION WITHOUT JUDGMENT, TELLING AND LIVING THE GOOD NEWS OF GOD IN JESUS CHRIST WHEREVER WE GO. No matter who you are (and because of who you are) and no matter where you are on life's journey (a unique place where God has placed and found you and only you), we not only welcome you, but we celebrate you and your presence among us. Celebrating over 100 years of being a Christian community that truly welcomes everyone! We are working to be the hands and feet of Jesus in the Coastal Bend of Texas! Copyright 2017 St. Paul United Church of Christ. All rights reserved.